We believe that the Bible is the inspired Word of God, is without error, gives us direction for life and eternity, and is the final authority for all Christian faith and life (2 Timothy 3:16-17; 2 Peter 1:20-21; Psalm 119:105; Romans 15:4). We believe in one God, Creator of all things, infinitely perfect and eternally existing in three persons: Father, Son and Holy Spirit (Deuteronomy 6:4; Genesis 1:2; Matthew 28:19). (John 1:1; Colossians 1:16, 17; Matthew 1:18-25; Romans 5:8; 1 Corinthians 15:12; Acts 1:9). (John 16:7-11; John 3:3-5; Romans 8:9; John 14:26; Galatians 5:16-22). We believe that people were created in the image of God but are separated from him by sin. Faith in Jesus, based on his death and resurrection, is the only way for us to be reconciled back to God. (Acts 2:38; Matthew 28:19, 20; 1 Corinthians 11:23-32). We believe that a biblically based church is composed of different kinds of people who have entrusted themselves to God as Christ-followers. It is the “Body of Christ” and is defined by worship, instruction, training, outreach and service, in order to enlarge the Kingdom of God. (1 Corinthians 12:12-13; Acts 6:1-7; Acts 15:23). The Church is empowered by the Holy Spirit to be an authentic community of faith, hope, and love here on earth (Ephesians 4:1-16). 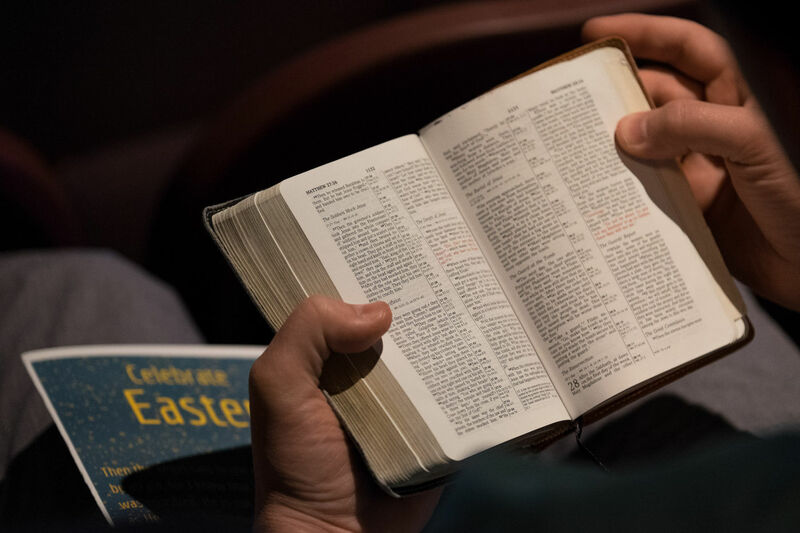 There are additional subjects debated among Christians that seem to have rather convincing arguments to biblically support either side of the issue. We do not desire to make matters not essential to salvation points of division within the Body of Christ, but rather we desire to point people to the Gospel, teach people to study and submit to the Scriptures, and live a life that most glorifies God. We always welcome humble and loving discussion about Christian beliefs and the Scriptures from which they come.